CrossFit, bootcamp, and group exercise classes with a resistance-training focus continue to rise in popularity. So much so, that the American College of Sports Medicine’s (ACSM) Health & Fitness Journal lists strength training, functional fitness, and circuit training in the top Worldwide Survey of Fitness Trends for 2018. It increases metabolism, reduces the risk of osteoporosis, and makes day-to-day activities easier, according to the ACSM Strength Training Guidelines. Although it is becoming more popular, weightlifting can come with a degree of intimidation. With one scroll through Instagram, you can spot pictures of ripped bodybuilders and jacked CrossFitters, and you can easily convince yourself you’re not qualified to pick up a dumbbell. 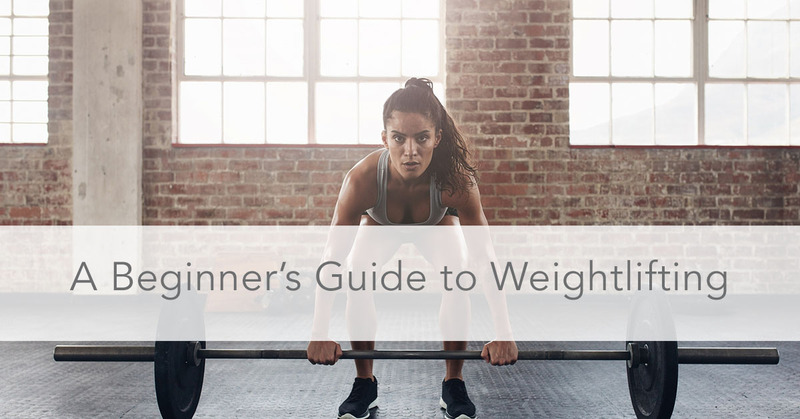 Fear not: Peerfit is here to give you the breakdown on how to start your weightlifting journey! As with any exercise, your individual goals are related to frequency. If you’re interested in lifting weights for overall health and increased quality of life, the ACSM recommends aiming for resistance-based exercise two to three times per week. If increasing strength and muscle mass is your goal, an increased frequency and consistency are going to be ideal - around four to five times a week. Walk into any Crunch or Youfit and you’ll think you’ve been surrounded by a bunch of death-trap machines. You head over to the free weights (aka dumbbells and barbells) and you wonder if you should be doing what the loud, grunting gentleman next to you is doing. Lost and confused, you turn around and walk right out... sound familiar? Luckily, your facility has knowledgeable staff there to help you out! Stop by the front desk and ask for a tour of the facility and equipment; most gyms offer an “intro session” to get you acquainted with the machines. As group weightlifting classes are becoming more popular, regularly attending a class will help you feel more confident with free weight exercises and proper form. Click here to find a class near you! Combining a few weightlifting exercises into a workout is known as programming. The easiest way to create a workout as a newbie is to break exercises down into upper and lower body categories. Decide, for example, that you’re going to work the lower body on Tuesday and upper body on Friday. This way, you’ll know you’ll be aiming for squats, lunges, leg extensions, and leg curls on Tuesday (just to name a few). On Friday, you’re going to head to the gym and go for rows, bench press, lat pulldowns, and bicep curls. The best time to weightlift is when it’s convenient for you! Morning, afternoon, evening...it depends on your body and when you know you’ll feel the best. Note: make sure you’ve had a small number of carbs and protein at least an hour before lifting weights. This way, your muscles are fueled well enough to perform their best. Ideally, you should perform resistance training before hopping on the treadmill; you want your muscles to be full of energy and ready to hit the weights. That being said, you want to do (again) what works best for you. If you know you need to get your body warmed up and in “gym mode,” then go ahead and do cardio first. The gym police won’t come after you, we promise. Don’t let social media intimidate you. Weightlifting shouldn’t be scary, it should be enjoyable. Building strength is an achievement to be celebrated - you’ll feel more confident, healthier, and you’ll be able to carry all your groceries all in one trip!